Home / black book / dungeons and delvers / frothsof / review / Dungeons & Delvers: Black Book Review by Jeremy "Frothsof"
Dungeons & Delvers: Black Book Review by Jeremy "Frothsof"
Yet another positive review for Dungeons & Delvers: Black Book, this time from Jeremy "Frothsof" Smith of Thought Eater infamy (which I'm pretty sure was formerly known as Froths of D&D). Unfortunately the only link to it I could find is on MeWe. Not because I think MeWe is bad, it's just that if you don't have it you'll need to sign up for it, and if you haven't joined Jeremy's group you'll also need to do that. 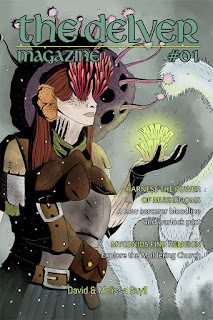 If you have trouble finding it (which you shouldn't: just scroll down a bit until you see the art), I've both shared it to the Awful Good Games MeWe group and made it a Featured Post. What I like about his review is that Jeremy doesn't sound like he's playing a character or faking excitement. He doesn't tell you that it "deserves your money". He just comes across as a normal guy that is telling you about something that you also might like. It's honestly very refreshing. 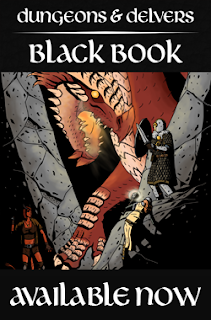 You can now get a physical copy of Dungeons & Delvers: Black Book in whatever format you want (the PDF is also on sale on DriveThru)! 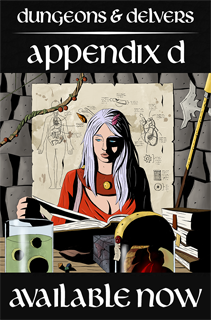 We've also released the first big supplement for it, Appendix D, so pick that up if you want more of everything. The first issue of The Delver, a magazine featuring fungal-themed content for both players and GMs (including an adventure in which myconids find religion), is available! 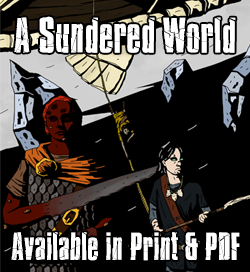 Our latest Dungeon World class, The Ranger, is now available. Dwarven Vault is our sixth 10+ Treasures volume. 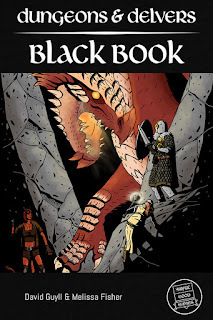 If you're interested in thirty dwarven magic items (including an eye that lets you shoot lasers) and nearly a dozen new bits of dungeon gear, check it out! By fan demand, we've mashed all of our 10+ Treasure volumes into one big magic item book, making it cheaper and more convenient to buy in print (which you can now do).